Like most of the population of the Earth (at least all the cool kids), I have read and thoroughly enjoyed the final Harry Potter book. I can't wait to see it on film, since I think there will be some fantastic opportunities for some amazing scenes. In fact, I have no idea how they will turn this 800 page book into a movie that's less than 4 hours long. That being said, Hagrid has never been one of my favorite characters. Okay, before the hate mail starts pouring in, let me make it clear that I didn't say I didn't LIKE Hagrid, but rather that he wasn't a favorite. If you need further proof that I like the big lug, look no further than tonight's review. 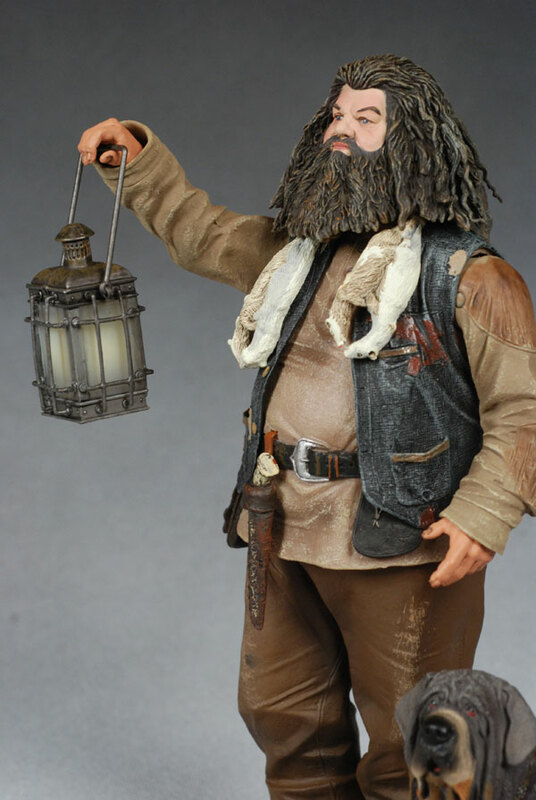 NECA has released their 7" scale Hagrid, which translates to his height at just under 10 inches tall. 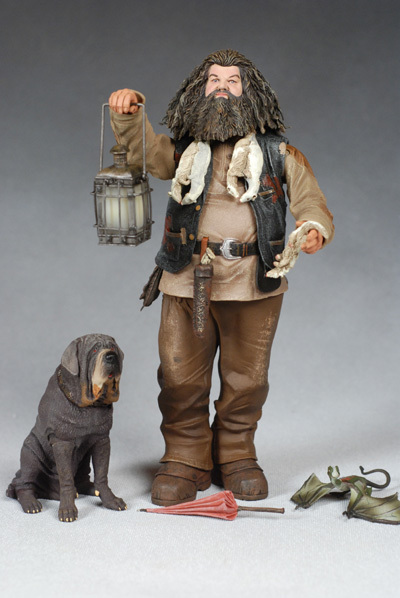 This guy also talks, something different for the NECA HP line, and he costs a bit more than the regular figures too. 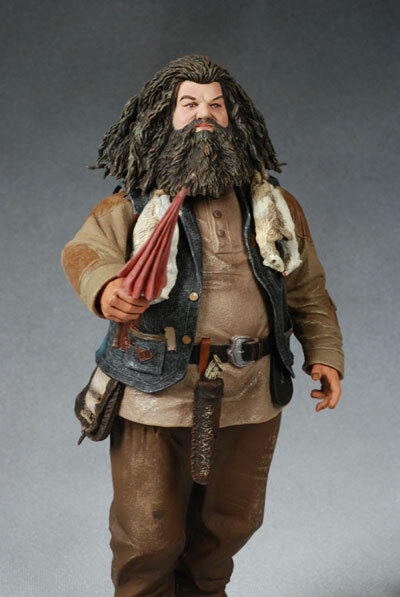 The regular figures come in clamshells, but Hagrid is large enough (and comes with enough accessories) that he needs a box. The design follows the rest of the line, and it shows everything off pretty well. We've gotten a number of Hagrid's so far, but this one might just be the best so far. I have a personal preference for the GG mini-bust, but I can certainly see where some folks would prefer this one. There's some really excellent detail work here, especially in the hair. The face is quite accurate, but it does look like a fairly young Hagrid. I usually have to complain that sculpts make characters look too old, but this is one of those cases where he's a bit too smooth and clean. Perhaps it's more of a Sorcerer's Stone version though, where he was a bit less wrinkled. The clothing has very different textures to imply very different materials, and to give it a realistic appearance. The technique works well, and makes this figure the best of the NECA HP line up so far. He's intended for the 7" scale line, and I've included the Harry from that series in one of the photos for comparison. At almost 10 inches tall, he does fit in quite well. The hands are sculpted to hold accessories or simply look good at his sides, which is a tricky combination to pull off. The stance is slightly dynamic, but yet not exaggerated or excessive, and he stands extremely well on his own. If I have any complaints around the sculpt, they are minimal. The hair and beard sit up a bit high on the body, but that's so that the ferret's can be removed. Also, the right arms is sculpted at a slightly odd angle, but that's so the arm can be posed properly with the lantern. Those are my two nits to pick, but at least I understand why. 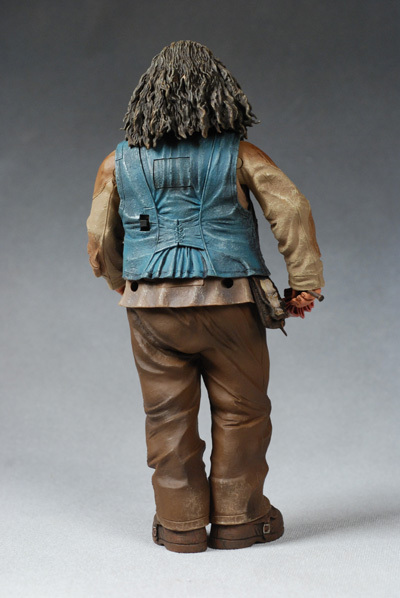 The NECA HP figures have been plagued with paint issues so far, and word on the street was that they were having tremendous trouble with the factory producing them. They have since switched to another place, and it looks like they've fixed the problem at this point. I've heard from several folks that also own this figure, and they've all had positive things to say about the paint quality. There's an appropriate amount of wash and dry brushing to bring out the detail and add some nice dirt/sweat effects to the clothing. Like the sculpted textures, different colors are used on the clothing to make it appear like different materials, and this works quite well. The face work is clean and neat, with no slop or bleed. Cuts are generally clean all around, but there was one issue on mine that holds him back from a top score. Mine has a brown splotch on his left shoulder that is clearly a mistake. That one spot was the only quality issue, and I have hopes that it's a rather unique occurrence. 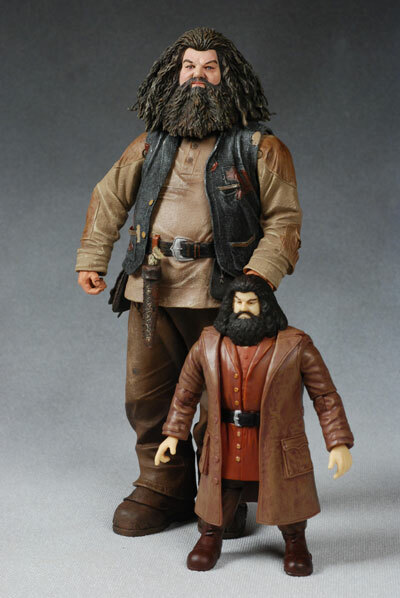 Like most of this line, Hagrid isn't super articulated. There's a neck joint that allows his head to turn side to side, but the hair makes it pretty much impossible to do any sort of tilting. He has NECA ball jointed shoulders, and the vest hides the joints well. There's also cut wrists and cut waist, but that's about it. Technically he also has cut ankles, but there is almost no space between the pants and boots, so turning them even slightly is very difficult. 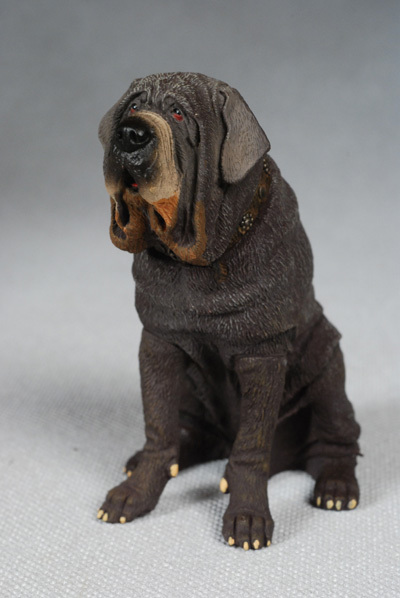 Hagrid has a nice set of accessories, including Fang, Norbert, a set of four dead ferrets tied together (with a real rope! ), and his lantern. All the accessories are solid with no articulation, but they are also extremely good sculpts. I do wish Fang was a smidge bigger, because he still seems a little too 'normal' in size, even compared to Harry. They could have sized him up another 30% or so and I would have been happier. Still, the sculpt looks terrific and the paint is well done. My favorite of the accessories is the lantern though. It looks very screen accurate, and fits nicely in his hand. Carrying this lantern is likely to be the way most folks display the figure. There are two aspects to most talking features these days: a) there are only three or four lines and b) there are generally no batteries. It's nice to see that neither is an aspect here. "The trick with any beast is to know how to calm it. "; "Welcome Harry, to Diagon Alley. "; "You're a wizard, Harry. "; "Never...insult Albus Dumbledore...in front of me. "; "I'm on official Hogwart's business. "; "Rubeus Hagrid, keeper of keys and grounds at Hogwart's. "; "I shouldn't have said that...I should NOT have said that. "; "Codswallup! "; "Strictly speaking, I'm not allowed to do magic. "; "Mad and hairy? You wouldn't be talking about me now, would ya?" I'm very happy with the feature, and I can see why it boosted the price a bit. Okay, the NECA figures are usually not that kid oriented, but I have to admit that this guy is much more fun for old and young alike. He isn't super articulated, but the excellent accessories along with the well done talking feature make him a much more fun 'toy'. 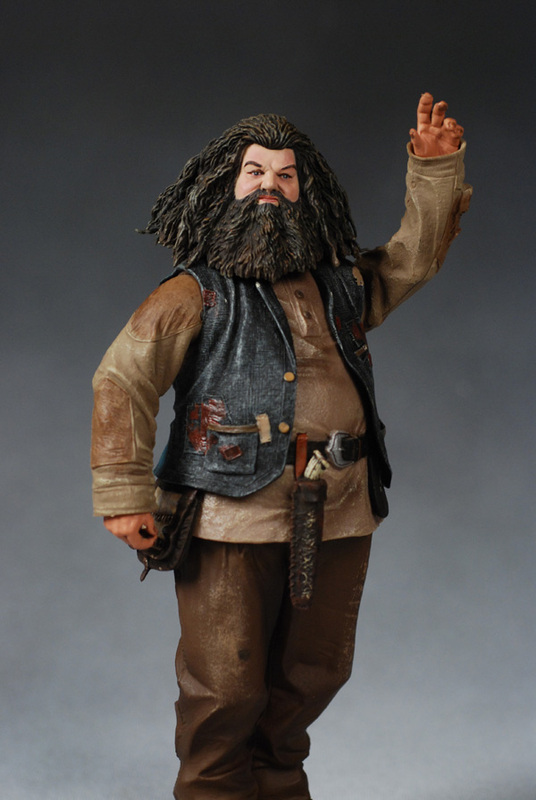 I have been complaining about the high price of the smaller figures, but you can get Hagrid for around $25 online. 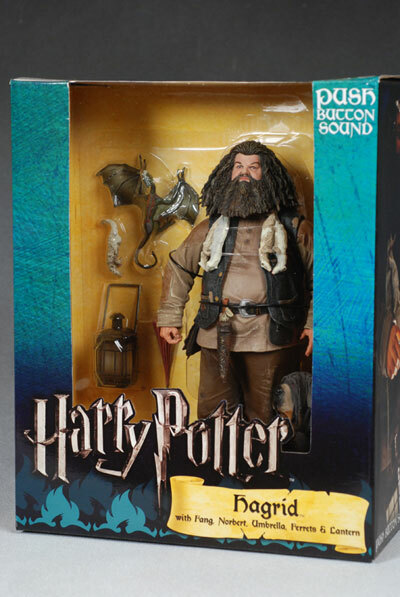 Considering that the smaller figures are running around $15 each (and have fewer accessories and no talking feature), then you can see where Hagrid is much more in line with his price. I'm not leaping up and down over the price, but he's not a rip off. Be careful taking off the ferrets from his neck, or removing the vest. Yes, you can pull it off, but be careful not to tear it. Better yet, just leave it in place. 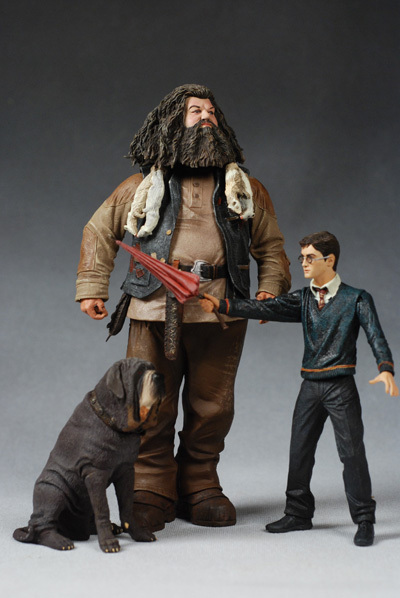 We've gotten what, 8 or 9 figures in this line so far, maybe 10 at this point, and Hagrid is my easy winner. Oh, Sirius and Snape weren't bad, and I did really like the Deatheaters, but Hagrid shows how great this line can really be. I have high hopes that the Snapes that come out in the fall with series 2 will be an improvement over the ones we got from Borders (with the new factory), and that future series will live up to the bar set by the big guy. - CornerStoreComics has him in stock at $24. - Amazing Toyz has him in stock at $24 as well. - Toys and Cool Stuff has him in for $28.94 Canadian. - Dark Figures has him in stock at $30. - my latest were on the Merperson mini-bust and the small versions of the NECA OOTP figures, exclusive to Borders in a three pack. - there was the guest review of the Tonner dolls. - I also reviewed the first series of figures from NECA, along with the first series of OOTP, and the series 2 Snape released early at Borders. - there's the other mini-busts, including Voldemort, Hagrid and Mad Eye Moody, Ron and Hermione, Snape and Dumbledore, Dobby and Dementor, and a guest review of Harry and Sirius. - Gentle Giant also did a statue of the Hungarian Horntail, and the Riddle Grave. - the Noble Collection has done some nifty wands. - just case you forgot how bad some of Mattel's figures were, here's Extreme Quidditch Harry and Dueling Club Harry. 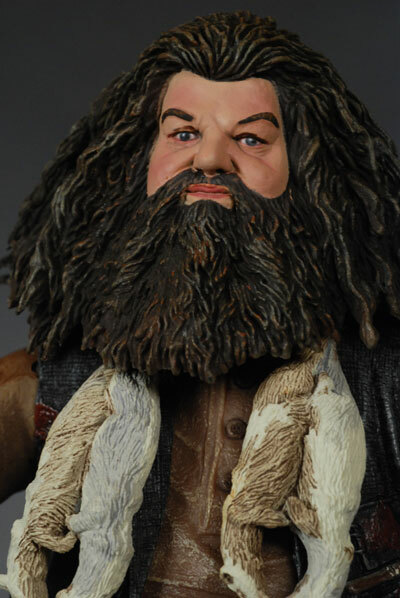 - and if you're looking for a slightly different Hagrid, don't forget the Mattel version!